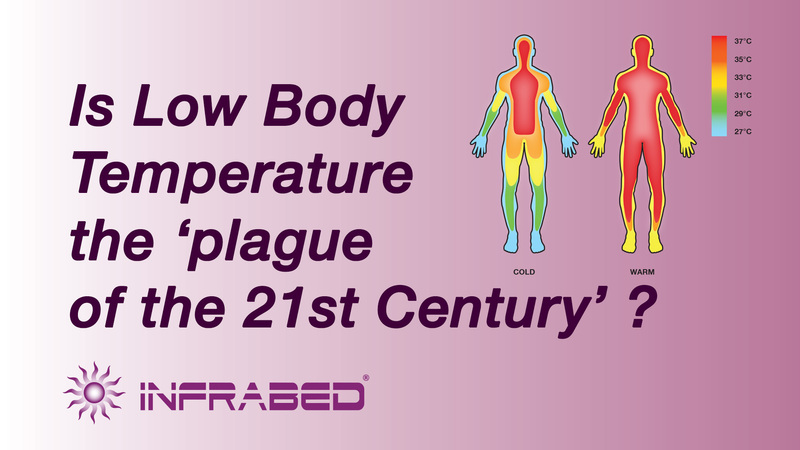 Research in hyperthermia has only begun over the last few decades. This initially started with the notion of direct tumour cell killing effects with high temperatures (e.g. 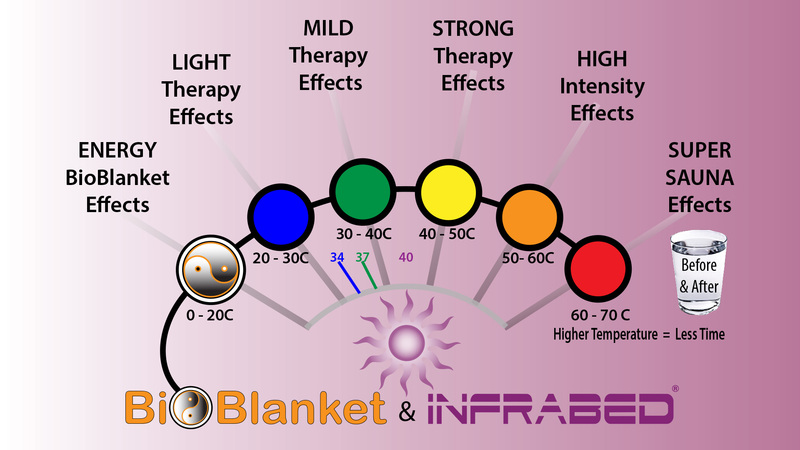 achieving an internal body temperature of 42 degrees C for one or more hours), later studies have zoned in on the immunological effects of hyperthermia. Of course this case study can not be cited as definitive proof of metabolic treatment, including hyperthermia, for cancer, however it should most certainly provoke further clinical trials on the approach. 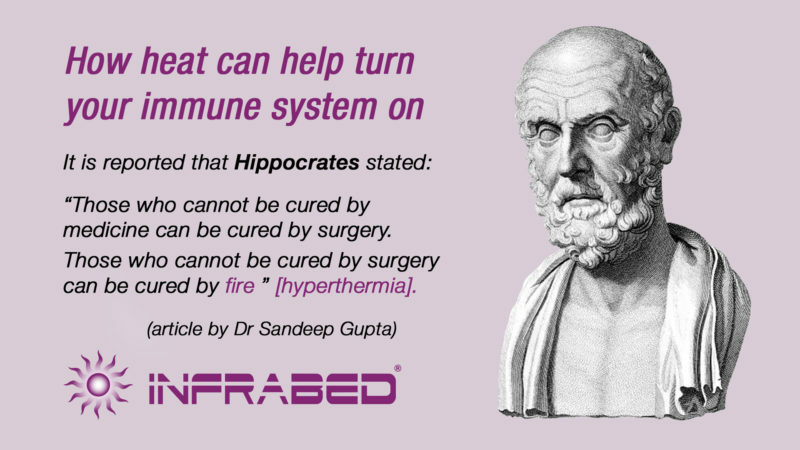 Indeed applying heat to the body, as Hippocrates stated, may well turn out to be a vital tool in treating cancer and various other chronic inflammatory conditions. [ii] Evans, S.S. et al. (2015). 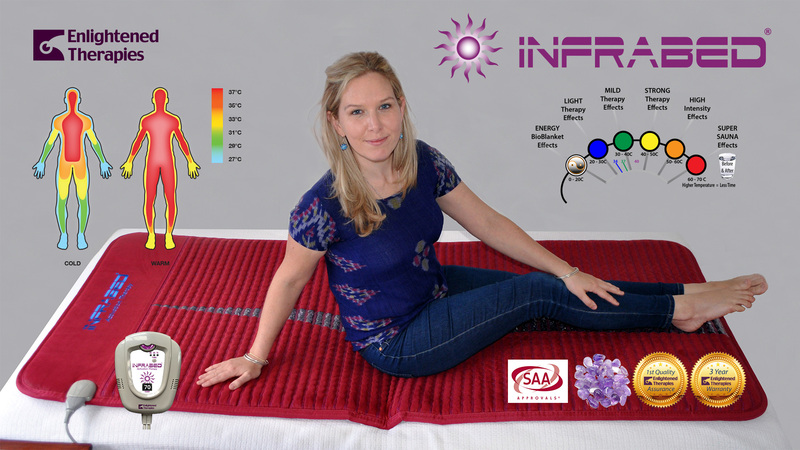 “Fever and the thermal regulation of immunity: the immune system feels the heat.” Nat Rev Immonol. 2015 Jun; 15(6): 335-349. [iii] Olszewska, ZB & Leszek, J. (2007). “Mechanisms of over-activated innate immune system regulation in autoimmune and neurodegenerative disorders.” Neuropsychiatric Disease and Treatment. 2007:3(3) 365–372. [iv] Ryan, JC. et al. (2015). “Transcriptomic signatures in whole blood of patients who acquire a chronic inflammatory response syndrome (CIRS) following an exposure to the marine toxin ciguatoxin.” BMC Med Genomics. 2015; 8:15. [v] Gabrilovich, DI. Et al. (1996). “Dendritic cells in antitumor immune responses. I. Defective antigen presentation in tumor-bearing hosts.” Cell Immunol. 1996 May 25;170(1):101-10. [xvi] Skitzki, J.J. et al. (2009). “Hyperthermia as an immunotherapy strategy for cancer.” Curr Opin Investig Drugs. 2009 June; 10(6):550-558. [vii] Song, C.W. et al (2001). “Improvement of tumor oxygentation by mild hyperthermia.” Radiation Research, 155(4):515-528. [viii] Song, C. W. et al. (2009). “Tumor oxygenation is increased by hyperthermia at mild temperatures.” Int J Hyperthermia, March 2009; 25(2): 91-95. [ix] Ahmed, K. & Zaidi, SF. (2013). “Treating cancer with heat. Hyperthermia as promising strategy to enhance apoptosis.” J Pak Med Assoc. 2013 Apr; 63(4):504-8. [x] Ohguri, T. et al. (2015). “Efficacy of hyperbaric oxygen therapy combined with mild hyperthermia for improving the anti-tumour effects of carboplatin, Int J Hypertherm. 2015: 1464-5157. [xi] Iyikesici, MS. et al. (2017). “Efficacy of metabolically supported chemotherapy combined with ketogenic diet, hyperthermia and hyperbaric oxygen therapy for stage IV triple-negative breast cancer.” Cureus 9(7): e1445. DOI 10.7759/cureus.1445.